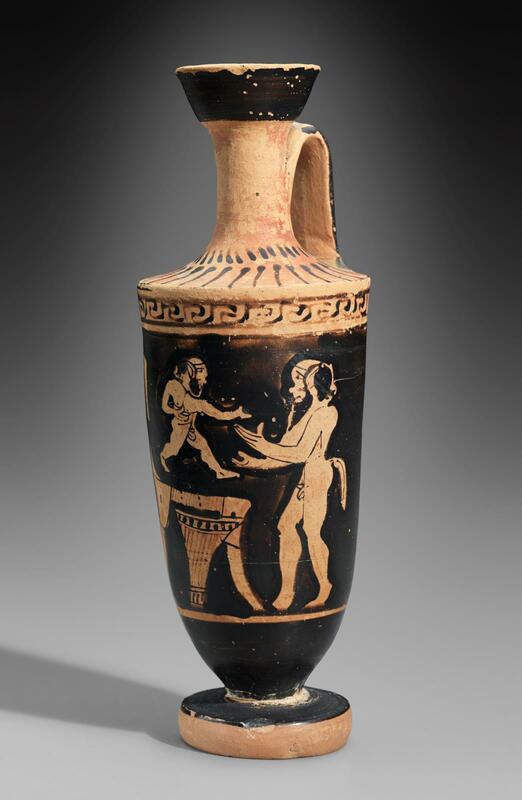 Satyr, profile to left, stretches out hands to a small satyr who is jumping from a chair toward him. Beside the chair, a kalathos. Both satyrs are naked and bearded, and share the baldness that, in the human world, is reserved for the very old. A break in the mouth of the vase above the handle.